In the third week of December, 1972, I visited John at his semi-detached house in Ealing to do an interview for MM. By this time I knew him reasonably well and had met his wife Alison a few times too. Aside from the fact that the house was packed with curios, it was the kind of home you might expect a moderately successful businessman to live in with his family, comfortable but not ostentatious, perfect for the character in The Kinks’ song ‘Well Respected Man’. I remember two things in particular from the visit. John had just bought a table lamp with those swishy frond-like tentacles that lit up at the ends and I’d never seen one before. Nowadays they’re very kitsch but I was fascinated by it. Even more impressive was the first video machine I’d ever seen, a massive grey box with lots of knobs and cassettes the size of cigar boxes. John demonstrated it for me, and then took me upstairs to admire his guitar collection. Outside of a music shop, I’d never seen so many guitars in one place. Boris the spider sits in a glass case behind John Entwistle’s private studio control panel, and the ten little friends that inspired the opening track on Whistle Rymes flank him on either side. The spider in the case didn’t actually inspire the early Who favourite: it was bought later, along with all the rest of the bric-a-brac that makes John’s house part museum, part instrument gallery, part studio and part home. Entwistle’s castle really is impressive. If the £14,000 custom-built Cadillac resting outside in the drive (it’s too long for the garage) doesn’t hold your attention, then the suits of armour, gun collections, swords or goldfish will. And if you’re still not satisfied there’s no fewer than 32 guitars of different makes, shapes, sizes and uses waiting to be plucked. There are a couple of rare Gretschs that Chet Atkins must have been reluctant to part with. There is an acoustic bass with an outsize body to make the notes hum and there are guitars that are simply there because John was given them by eager manufacturers, anxious to use the Entwistle seal of satisfaction in their advertising copy. There are Gibson basses with Fender necks and Fender basses with Gibson pick-ups, and all manner of combinations of bodies, fretboards and electronics. There are as many brass instruments as there are guitars, and the studio offers facilities for every home record maker. The electronic drum beater provides constant rhythms to play to, and a couple of muses (musical computers) provide a steady supply of notes in ever-repeating patterns. There’s a grand piano and a couple of Keith Moon’s cast-off drum kits. And there’s a Moog synthesiser proper that’s guaranteed to keep anyone with the slightest interest in music occupied for hours. John plays the lot. And when you glance around at this array of goodies it’s not surprising that he’s constantly looking for further musical outlets than The Who can offer. Playing bass for The Who has enabled John to experiment and his recent output of solo albums has outnumbered the output of Who albums by three to one. Whistle Rymes, a collection of his own songs, was released a couple of months ago, and already there’s another in the can ready for release next February. In the case of this last album John has formed a new group so strictly speaking it’s not really a solo album. The group is called Rigor Mortis, and the album is called Rigor Mortis Sets In. Instead of being a collection of John’s songs, it’s a selection of rock standards in the main, with two new Entwistle compositions and a new version of ‘My Wife’ which The Who recorded – and John didn’t particularly like – on their Who’s Next set. So what made John decide to put out an album of rock standards after two albums of his own songs? “Well,” he says, relaxing in his living room, “I like rock and roll and after a while I start to run out of new numbers. My co-producer John Alcock had been wanting to do a rock and roll album as well as the solo stuff so I promised him I’d write two numbers as an exercise. It worked out alright so I write some more and used some oldies too. Rigor Mortis includes Tony Ashton on keyboards and Alan Ross on guitar and it’s just possible that along with John on bass there may be some live performances on the cards. “I think we’ll probably do a second Rigor Mortis album and then try a few live shows but this might take us through to the year after next. Next year will be very busy for The Who so I won’t have as much time as this year. The Who have to do an album and a couple of American tours and some gigs in England and Europe. John’s lyrics are notoriously for their pre-occupation with evil. 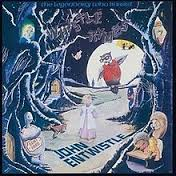 A glance through the Entwistle song book over the years is a ride through terror. Even his contributions to Townshend’s Tommy were tinged with unsavoury characters, the school bully Cousin Kevin and the predatory pervert Uncle Ernie. Whistle Rymes features lyrics about prostitutes and sticking pins in photographs. “I didn’t write them as nasty numbers,” says John. “They just end up that way. It all depends on what kind of mood I am in or what I have been watching on television. I am a great television addict. John feels that his solo efforts have achieved their purpose and made him recognised as more than just the bass player in The Who. In America this is especially so. “People over there seem more willing to accept a solo artist but here it’s different. The record buying public play safer. They will go out and buy a Who album but if there’s only twenty-five percent of The Who on an album they will think the album is only twenty-five per cent as good as a Who album. “Pete was alright with his because he’s the accepted Who writer, and the title of his [Who Came First] helped a lot too. In America John’s single ‘My Size’ sold in large quantities because many fans were under the impression it was the latest Who single. “I put them right on that but I’m a great disbeliever in singles. I’ll put one out from the Rigor Mortis album because that’s more a new band than anything else. The Who’s activities during 1972 have been kept to a minimum and John admits that the group have gone slightly stale as a result. Their only tour was a trip around Europe and it took a few gigs before the group came back into form. “American tours always help the band because they’re such hard work. On the European tour I had forgotten how to control the volume on my bass because I was so used to playing in a studio, and on the first night Pete did his knees in because he’d forgotten to put on shin pads for his jumping act. Phil Rambow and I go back a long way, back to New York in the mid-seventies when he was exploring the limited prospects offered by a career in the catering trade. He was the best buddy of a mate of mine who was kipping on my couch, and we’ve stayed in touch ever since. In the eighties we played together in a cricket team, the Old Ruffians, made up from employees and hangers-on from the Rough Trade record shop in Notting Hill, and since Phil is a Canadian it says a good deal about his powers of concentration that he managed to master the labyrinthine Laws of Cricket. Keith Allen, our demon fast bowler, used to bring his toddler daughter Lily to watch the games. Phil’s band The Winkies somehow slipped between the cracks during that unsettled period when pub rock begat punk, releasing one album on Crysalis before splitting up, Phil heading for New York and the kitchen apron. Then he found his way back to the UK and a solo career in the new wave, an ‘almost famous’ cult figure who released a truly great single (‘Fallen’) in 1979 and, much more recently, the ironically titled album Whatever Happened To Phil Rambow. He’s appeared here and there on records by others, always with distinction, at one time alongside Kirtsy MacColl with whom he co-wrote ‘There A Guy Works Down The Chip Swears He’s Elvis’, a UK number 14 hit for the much-missed Kirsty in 1981. That same rousing, wry and unforgettable slice of rockabilly whimsy is the lead song on a newly released five-track EP by Phil’s latter day berth, The Tex Pistols, a quintet of fellow travelers from the same era as himself, all with impeccable CVs but less to show for their honourable toil that they perhaps deserve. Phil takes care of vocals and rhythm guitar – he used to enjoy strumming mine back in that NY flat – alongside Paul Riley (vocals, bass), Geraint Watkins (keyboards), Martin Belmont (lead guitar), Bob Loveday (fiddle) and Pete Thomas, the world’s tallest drummer. Sarah Jane Morris adds backing vocals. The previous of all these characters ropes in a list of convictions as long as your arm, and includes sharing a cell with a couple of Beatles, a Stone, a Zep, Van The Man, Elvis Costello, the Cash family (father and daughter), Randy Newman and that distinguished posse of outlaws lassoed into service by Nick Lowe. As you would expect, the Tex Pistols serve up a seriously appetizing ‘Chip Shop’, complete with a couple of cheeky ‘Elvisisms’, sounding a bit like Los Lobos to me, with Watkins’ accordion adding a mouth-watering touch of Cajun gumbo to the pot. Elsewhere on the EP we have ‘Cold Cold Heart’ with Phil doing his best to emulate the sorrowful melancholia of Hank Williams; a lively ‘Train Kept A Rolling’, the 1951 blues rocker that was once a staple in Yardbirds’ setlists and on which Zep cut their teeth during their first ever get-together; more crawfish bayou on ‘Louisiana Blues’; and, finally, a superfast live (from Depford, not Baton Rouge!) ‘I’m Coming Home’, another zydeko workout on which Martin Belmont steals the show, throwing down a feisty challenge to Albert Lee and maybe even James Burton. for a CD or a download at a mere £3.50. 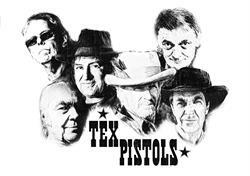 In the meantime, The Tex Pistols can be experienced live at The King and Queen, Wendover (July 2), Nell’s Jazz & Blues Club, London (July 4), London’s Balham Bowls Club (July 7), and the Cornbury Festival (July 9). To Wembley Stadium for my second exposure to Big Rock in only as many years, my companion my daughter who acquired two tickets as a surprise treat for her dad but declined to tell me who we were going to see until we caught the train at Marylebone Station when it became obvious from the hordes of passengers wearing Stone Roses T-shirts. They’re a band whose records I love and whom I’d always wanted to see but never had the chance. Olivia somehow got the seats in a charity raffle and mighty good they were too, a few rows back from the pitch around the halfway line, immediately behind the VIP box where David Beckham, who must have felt at home in these surroundings, and two of his sons took their seats a few minutes before the Roses hit the stage, Posh no doubt staying at home to catch up with the ironing. There was a palpable sense of occasion in the huge arena, the sell-out crowd of 90,000 basking in the warmth of the evening, a perfect night for an outdoor stadium gig. This was the first time I’d been inside the ‘new’ Wembley which towers up far higher than the old one, not that all the seats were filled – just that so many had come down on to the pitch, a massive throng of Roses fans crammed in closer and closer as they neared the big stage. They gave support band Blossoms a decent ovation too, probably for their bravery in facing down a partisan crowd intent on being adored or feeling the earth begin to move. We heard only three of their songs but I liked what I heard and the singer looked a dead ringer for the sort of bands I used to write about the seventies. Earlier The G-O-D and Sleaford Mods had played as the crowd filed in, a thankless task if ever there was one. Heralded by The Supremes singing ‘Stoned Love’, the Roses arrived on stage at 20.54, ambling on as if they’d just got off the Wembley Park-bound 206 double-decker. They are a no-nonsense outfit, making little effort to endear themselves to their vast audience, though they do so anyway; none of that ‘Great to be here at Wembley’ nonsense, a total absence of grandstanding as they treat it like the back room of a Manchester pub and, very sensibly, open up with ‘I Wanna Be Adored’, track one side one of the wondrous album that rocketed them to greatness and which, with ten of its 11 songs performed tonight, formed the backbone of the evening’s set. Ian Brown resembles someone looking for a fight, his dour countenance made all the more menacing by his relatively short hair, now turning grey. He’s wearing a white bomber jacket with a logo that says ‘Research And Destroy’ but it still looks like something he could have picked up in a charity shop for less than a fiver. He walks around the stage a lot but doesn’t communicate much, introducing one song – I forget which – as ‘one for a mate who owes me fifty quid’ and another – I think it was ‘This Is The One’ – as ‘for my mum’. I certainly wouldn’t want to be the bloke who owes him the bullseye. Brown’s voice, never the most tuneful arrow in their quiver, hits the right notes around 95% of the time, but its often rather grim monotone can be overlooked amidst the hooks and all-round contagiousness of the catchy choruses in almost all the songs they play. Bassist Mani is another character I wouldn’t want to mess with at closing time, a beefy fellow with tough looking lines on his face who leans back slightly as he plays, like one of those Russian dolls that won’t fall over, alternating between two Fender Jazz basses that he plucks with a plectrum when a prominent bass line demands it, then switches to plucking with his fingers when a more rhythmic feel is required. Like John Entwistle, he keeps a low profile stage left, rooted to a spot a few feet in front of his sturdy bass cabinets, deadly but far from silent. 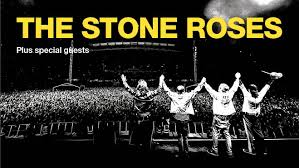 Renni is a tour de force at the back, his drum patterns a key element in Stone Roses songs that veer from the funky dance workouts redolent of the Madchester era to the power pop and tougher stuff that enabled this group to rise above bands like Happy Mondays and Inspiral Carpets. For the first half of the gig he wore a black turban which must have been awfully hot on this balmy June evening, switching later on to the white bucket hat he always used to wear and which many in the audience do too. He added a welcome second tier to the vocals, singing through one of those tiny microphones attached to a clip from beneath his turban. Finally to John Squire, for my money the star of the show, an effortlessly skilled yet unshowy guitarist who simply gets on with the job, reproducing all those sinewy little guitar lines that underpin the best of the Roses’ songs. Not for him the ostentatious pomp of so many of his peers, none of that bending a sustained note on the top strings a few frets above the 12th and looking as though he’s in agony doing so, no windmills, guitar punching or left-hand-only stuff with added wiggly bits. Squire employed four guitars, two Strats and two Les Pauls (but no big white Gretch or Jackson Pollock dappled ES35), some with capos on the neck, and it was pleasing to note that it was him and him alone playing; no additional touring guitarist to beef up the sound, just him alternating lead lines with chords and riffs, a dazzling display modestly assumed. On at least three songs, ‘Waterfall’, ‘Begging You’ and, of course, ‘I Am The Resurrection’, he played extended groovy codas but didn’t even bother to take a bow, just smiled a little behind the hair and beard that obscured his face. As stated, the meat and potatoes of the evening’s set was The Stone Roses LP, ‘Adored’ followed by ‘Elephant Stone’ and all the rest bar ‘Bye Bye Badman’ given an airing as the night progressed. From elsewhere we got ‘Sally Cinnamon’, ‘Mersey Paradise’, ‘Where Angels Play’, ‘Begging You’, ‘Fools Gold’, ‘Love Spreads’, ‘All For One’ (the only song with which I was unfamiliar) and ‘Breaking Into Heaven’. It was high energy all the way, and if there was a low point it was in those songs from Second Coming that descend into a sort of sub-Zeppelinesque bluesy thump as opposed to the springy ingenuity of their earlier material. I don’t include ‘Breaking Into Heaven’ in this but I’d have welcomed ‘Ten Storey Love Song’, a huge favourite of mine, over ‘Begging You’ and ‘Love Spreads’. They were fabulously loud and rightly so. The crowd favourites – ‘Elephant Stone’, ‘Waterfall’, and the five-song closing sequence of ‘Made Of Stone’, ‘She Bangs The Drums’, ‘Heaven’, ‘This Is The One’ and, inevitably, ‘I Am The Resurrection’, inspired mass sing-alongs and air punching, and no matter how many times I’ve seen it there’s something awfully uplifting in watching so many people having such a wonderful time while music as good as this is pumped out of massive speakers at a volume we can only dream about at home. The solo on ‘She Bangs The Drums’, always a high point for me, was executed perfectly by Squire, so much so that the audience sort of sang along to it, a kind of ba-ba-ba ba-bi-ba-ba sound, and as they did so it struck me that that this marvellous little guitar part in one of the Roses’ greatest songs might just be a great-grandchild of Townshend’s riff in ‘So Sad About Us’, remade and remodeled by the Roses. ‘Resurrection', of course, was the only possible climax, 90,000 voices singing the ‘Don’t waste your words’ lines until, after three verses, the song explodes into the title line and chorus at which point the stadium was lit up on all sides as Squire eased into the funky coda to which all of us danced the night away. This was daughter Olivia’s first ever stadium show and from the look in her eyes I know it won’t be the last, though it’ll be her boyfriend and not her dad dancing alongside her next time. And then, quite suddenly, it was over. The gig ended rather abruptly at 22.23 after the false ending of ‘Resurrection’ and there was no encore. The Roses had been on stage for just less than 90 minutes, quite a brief set by stadium standards though it didn’t seem so because they’d played so many songs, 17 in all, that so many fans wanted to hear so much. Oddly enough, no one asked for more either, and in front of us Beckham and his boys legged it as fast as he ever did advancing towards the goal area on Wembley's pitch. In truth, it was hard to know how the Roses could follow ‘Resurrection’ so they didn’t try. There was, of course, a rational suitability in ending the night on the closing song of that sparkling album, just as its opener had began it. Finally, I couldn’t help but wonder why the Roses haven’t been booked for Glastonbury. Now match fit and geared up for gigs this size, they’d surely be a better bet than Foo Fighters for the Pyramid stage on Saturday night. This is the one they’ve waited for Michael. Last October I announced that I had written a novel, a mixture of fact and fiction that purported to reveal the truth about the 1975 kidnapping of Elvis Presley, and that I would be publishing it privately as an e-book, available in time for Christmas. It didn’t happen because I was persuaded by some friends who had read it that this was the wrong approach, and that I should seek a ‘proper’ publisher that would put it out as a ‘proper’ book, ie one with a cover and printed pages. It was, one friend told me, ‘a bold literary conceit’. I rather liked that. To this end, in the early months of this year I approached several publishers, both in the UK and USA, only to be told that they only read manuscripts sent in from literary agents. So I approached several agents, all of whom I had dealt with as Editor-in-Chief at Omnibus Press, a position I held for 33 years until the beginning of last year. None wanted me as a client. I was told by those that had the courtesy to respond that they weren’t seeking any more authors right now or that my Elvis book wasn’t the kind of thing in which they were interested. The vast majority simply didn’t even bother to get back to me at all, quite a contrast with the reaction I used to get when I ran Omnibus. It also occurred to me that if someone with my track record in music journalism was unable to get anyone to even read my work, let alone publish it, then what hope for anyone without my background? If that sounds like sour grapes, then so be it, but at Omnibus I always made a point of acknowledging unsolicited proposals and, although the vast majority were turned down, in most cases I tried to offer some guidance to would-be authors. It was a matter of civility. Chastened by the absence of interest from the book publishing world of which I was once a member, by the end of March I was resigned to going back to Plan A, the e-book route, and had even made inquiries with a company called Matador that prints your books for you and tries to sell them – but at some cost to their author. I wasn’t enthusiastic about this and was also keenly aware that the optimum time for publishing my book was August 16 this year, the 40th anniversary of Elvis’ death, when the King’s profile might just go up a notch or two. Then a miracle happened. My friend Neil Cossar, whose company Absolute PR had at one time handled the Omnibus publicity and promotion, read the book and brought it to the attention of another of his clients, Red Planet Publishing, which publishes quality rock books. Their MD read my book in one sitting, couldn’t put it down he said, and made me an offer. I had lift-off at last. Last year I posted a couple of extracts from the book on Just Backdated, together with news about it, under its working title Elvis Kidnapped, but since that has since been changed these can now be found here under Caught In A Trap. The book has been revised quite a bit since then. I will post another extract closer to the publication date. 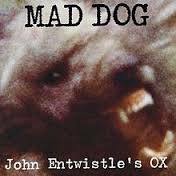 On Sunday December 8 1974 I was at the City Hall in Newcastle-upon-Tyne to watch the debut performance by John Entwistle’s Ox, reporting on the show for Melody Maker. Here’s what appeared in the December 14 issue of MM under the headline: ENTWISTLE’S £25,000 HOBBY. Entwistle’s money is currently being spent on his latest passion, The Ox. Apart from being his nickname, The Ox is a rock’n’roll band of four, augmented by a saxophone player and two girl singers, who made their public debut in front of a sparse audience at Newcastle City Hall a few hours before John signed that bar bill and threw back several large brandies. About 300 tickets were sold for the event which is one of three warm-up gigs planned this year. Next January they’re embarking on a 14-date British tour, mostly universities, and in February – all being well – they’re off to America where demand for Entwistle and his music is greater than in his home country. As a band, they’re pretty hot though a few rough edges need straightening out, and something has got to be done with the volume. For some reason, John chose to completely shatter his audience with the loudest music I’ve heard since Slade played Earls Court. They were certainly a lot louder than The Who, a fact confirmed by sound man Bob Pridden, The Who’s regular sound mixer who’s just finished a sting with Eric Clapton. Bob’s one of the best in the business, and when he grimaces over the volume, then something is very wrong. Actually, John chose to use most of The Who’s equipment and most of their crew for the show. The Ox played for just over one hour and their material was a mixture of tracks from Entwistle’s solo albums, including one by The Ox due for release shortly, and the and guitarist Robert Johnson began the show by cracking out the chords for ‘I Can’t Explain’. Other Who songs featured were ‘Boris The Spider’, Whiskey Man’ and ‘Cousin Kevin’. They’re rehearsed ‘Heaven And Hell’ but didn’t play it as John completely forgot. It doesn’t take much to realise that John is an old rocker at heart. The set was liberally spiced with some beefy rock and roll, and he encored (yes, the 300 demanded an encore) with Cochran’s ‘Something Else’ and Little Richard’s ‘Keep A Knockin’’. One of the new songs was called ‘Cell No 7’, apparently written on the occasion when The Who were arrested in Montreal following a hotel fracas. The bass was turned up throughout and if the band does nothing else it enabled John to show off his bass technique splendidly. He really is one of the best bass players in the business. His runs are often stunning and his finger plucking technique is quite breathtaking, unbelievably fast. His lines ripple out like machine-gun bullets and, at the volume he chose to use, have an odd effect on an audience. Shell shock, I guess. Robert Johnson is a good guitarist too, but he was frequently lost in the mix. I kept waiting for him to spin his arm around, but he didn’t. The band doesn’t really need a drummer – Entwistle’s bass is a one-man rhythm section – but Graham Deacon fought manfully on, often unheard. The Who numbers went down the best, but requests for ‘Postcard’ went ignored. 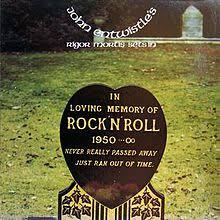 They did a knockout version of ‘Not Fade Away’, and a curious instrumental called ‘Jungle Bunny’ which featured backing tapes and appeared to come unstuck towards the end. It was a dull tune anyway. ‘Cousin Kevin’ – with girl singers – was a highlight, but ‘Whiskey Man’ didn’t come off as well as it could have done. John is best doing straight rock and roll: his grating voice suits the classic 12-bar structure. He’d make a suitable replacement in The Wild Angels or their ilk anytime. I think they were a little under-rehearsed. In the bar of the hotel before the gig the saxophone player was busy copying down chords on scraps of paper. “Just to make sure,” he said after thanking me for a mention in the Raver* column several years ago when his horn was pinched. I enjoyed myself and I think everyone else did, not least the fetching Miss Doreen Chanter (one of the two chick singers) who attracted much attention back at the hotel. Her sister Irene went to bed early as she had a session at Trident Studios in London the following day. One more point: it was refreshing that John laid himself open in such an unpretentious fashion. None of that bleating about keeping the press away from the opening concert from The Ox, and all power to him for it. * This was Melody Maker’s gossip column but we often did musicians a favour by using it to try and trace stolen gear. On Wednesday, 16 February 2000, I sat down to dinner in the restaurant at the Grand Hotel in Saltsjöbaden, a suburb of south east Stockholm on an archipelago that faces out towards the Baltic Sea. It was freezing cold outside on this, my first visit to the Swedish capitol, and my dining companion was Carl Magnus Palm, whom I was meeting for the first time. About a year before I had decided that Omnibus Press, of which I was Editor-in-Chief, ought to publish a substantial, warts-and-all biography of Abba and that its author had to be a Swede. Existing biographies, written by British writers, only skimmed the surface of their career and said very little about the real lives of those involved, so I did some research and somehow found Magnus. Or he found me, and he wrote to me as follows: “I was especially pleased to learn that you recognised the value of having a Swedish writer doing the book, since that would be necessary to be able to do interviews in Swedish, not to mention that such a writer would be better equipped to write knowledgeably about important aspects of Swedish history and culture. “I believe I would be the perfect writer for you,” he went on. “I have been occupied with in-depth research on ABBA and the careers of the individual members for a decade now. I have innumerable files in my computer that are chock-full with information about ABBA, thousands of newspaper and magazine articles and hundreds of video items. I also have access to a large worldwide network of knowledgeable ABBA fans who [will be] happy to share their insights with me. Well, he’s certainly confident, I thought, and he wasn’t kidding about his Abba awareness, and in any case I wasn’t after a Goldman/Kelly hatchet job anyway, more of the Rogan-style approach exemplified in his Smiths book The Severed Alliance. So we shook hands, sat down at a table and ordered our food. I fancied drinking wine and, although horrified by the prices in a country that discouraged alcohol consumption by taxing it to the hilt, ordered a bottle. This might explain why, before we got to talking about Abba, Magnus launched into a conversation about The Beatles, most specifically John. It turned out he was a massive Beatles fan and to my surprise and delight he produced from his pocket a couple of pages from an old copy of Melody Maker, the interview with John that I conducted in Los Angeles in October 1973. Magnus had cut it out and saved it in the hope that one day he and I would meet. It was a lovely introduction, the beginning of a friendship that endures to this day and a good excuse to order a second bottle of red. So I told Magnus about my brief but memorable friendship with John and so keen was he to listen that it wasn’t until after we had finished our main course that we turned our attention to Abba. I soon realised he knew everything there was to know about Abba, or at least more than anyone else barring the group themselves and those that worked for them, and that I had found the ideal author for the Abba book I had in mind. The following day I met with his literary agent, did a deal and in 2001 Omnibus Press published the first of many editions of Bright Lights Dark Shadows: The Real Story Of Abba, still in print as a revised edition today, all 256,201 words of it in the latest edition, its sales now standing at well over 50,000. Magnus went on to write other Abba books, including a guide to their music for Omnibus, and produce film documentaries on the group. He has since become recognised as the world’s leading authority on Abba in much the same way that Mark Lewisohn has made his name in a similar role for The Beatles. Magnus writes sleeve notes for Abba’s enhanced catalogue reissues and, like Mark with The Beatles, commands the respect of the members of Abba without becoming a part of their organisation and therefore beholden to them in what he writes about them. Through a deft blend of hard-earned knowledge and subtle diplomacy, he has earned their trust, an ideal situation for a writer and archivist. It almost goes without saying that he is as respected by Abba’s fans worldwide as he is by the group themselves. Perhaps inspired by Mark Lewisohn’s books on The Beatles, most especially The Complete Beatles Recording Sessions (1988) which I would bet my house on his having read word for word, Magnus has now excelled himself in terms of Abba scholarship by compiling Abba: The Complete Recording Sessions*. Crowd funded by contributions from fans, it is very classy but on the expensive side: a 448-page, magnificently produced, large format illustrated work chronicling in extraordinary detail the studio endeavours of Björn, Benny, Frida and Agnetha, from the earliest session in which Björn & Benny took part together, in November 1966, right the way through to the last, on 23 August 1982, when engineer Michael Tretow worked on final mixes of ‘Cassandra’, ‘Under Attack’ and Abba’s exquisite swansong ‘The Day Before You Came’. 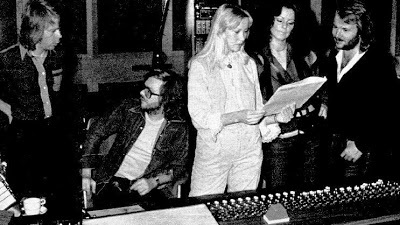 Michael Tretow with the four members of Abba in the studio in 1978. It is, of course, an astonishing labour of love and Magnus has been assisted in his endeavours by Björn and Benny and, to lesser extent, Frida and Agnetha. 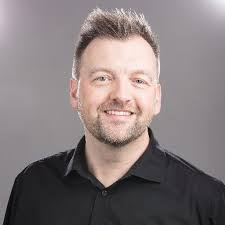 Perhaps most valuable, though, was Tretow himself, who was on hand to guide him through Abba’s tape archive and shed light on their recording process. Granted access to master tapes, rejected mixes, alternative versions, rough cuts and pretty much everything that was saved from every recording they ever made, Magnus has painstakingly set down precisely what happened and when, and is thus able to describe in precise terms how Abba’s music was assembled and how choices were made in regard to what was released and what remained in the can. Scans of tape boxes and other documents illustrate the chronological entries and along the way Magnus charts the group’s development in terms of their success, ambition and enterprise, giving an overview of each recording, singles and albums, as they were issued, setting all this in a frame of everything else that was happening elsewhere in the world of pop during the years when Abba was together. Nevertheless, no amount of analysis and research in superb books like this can really explain the magic of Abba, any more than they can explain the magic of The Beatles. There was something in the air, of course, but it may have had something to do with what Agnetha describes elsewhere in this book as a ‘strong sense of competition between us [girls]’ while Frida goes as far as to admit: ‘We pushed each other. Anything you can do I can do better!’ And while the two boys, as the group’s writers, are often credited as the key members of Abba, Benny, the source of all those melodies, isn’t so sure. “When you talk about concepts like ‘the Abba sound’,” he tells Magnus, “you certainly have to mention the songs, the way we arranged them, Michael [Tretow’s] contribution and all that, but take away Frida and Agnetha and let two other girls sing their parts, and the ‘Abba sound’ goes out of the window immediately. Their voices were simply the most important ingredient of our overall sound structure.” I tend to agree. 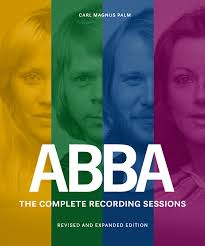 ABBA: The Complete Recording Sessions is available only through a dedicated website: abbathecompleterecordingsessions.com. Prices vary according to where it is to be shipped, but in the UK it is approximately £94. * To avoid any misunderstanding I should point out that this book is a massively upgraded and expanded edition of an earlier book by Magnus with the same title, published in 1994. It is a tribute to the affection that The Who have inspired in their fans over the years that a book like this can exist. I doubt any group before or since has rewarded its fans in the way that The Who did, and continue to do for that matter, and by this I mean how The Who performed on stage, offering their fans all those simply staggering shows, especially when they were in their prime. To have seen The Who between 1968 and 1976 was, on most nights, to witness the very best rock shows ever, with fans shaking their heads in disbelief as Pete, Roger, John and Keith put on displays of such panache, skill and excitement that no one has ever been able to match. Only those who were there know what I am talking about. These fans like to talk about it too, they like to share their memories just as I do on this blog. I Was There is simply a massive collection of eye-witness accounts of Who concerts, from a few who saw them as The Detours in 1964, all the way through the glory years to a show in March of this year, 445 fun-packed pages of show reports, many recalling personal stories about getting to and from the gig, the massive thrill of it all, and most are illustrated with pictures of these fans whose reminiscences Richard Houghton has lovingly assembled for his book. For the most part, of course, the fans are overwhelmingly positive about the shows they saw, and even after many years they seem able to recall in extraordinary detail the songs, the performances, the clothes they and the group wore, and even what was said on stage. Although most are from boys (men now of course), a decent proportion are from girls, many of them besotted by Roger, but this does put to the sword the oft-repeated falsehood that The Who was a ‘man’s band’. A good proportion of the fans describe the Who concert they saw as the greatest concert they ever saw in their entire lives. A few got to meet or exchange a few words with the group before or after a show, and it’s nice to read about how in the early days a member of The Who would sometimes allow a penniless fan into the venue through the stage door if he or she pretended to be a member of their road crew. “I remember it as an outstanding and breathtaking performance,” recalls Steve Davy of The Who’s set at the 9th National Jazz & Blues Festival at Plumpton on 9 August, 1969. “It was one of those performances that had an exceptional magic about it.” I can confirm that view as this was the first time I’d seen The Who live myself, so it’s nice to know that Steve and I were on the same wavelength. So impressed was I with that Who show that afterwards I determined to see them as often as I could in the future, over 30 times until Keith died. In some respects seeing The Who’s astounding performance that Saturday night was the impetus I needed to apply for a job on Melody Maker the following year. I simply wanted to be a part of something as wonderful as this. There are reports from many famous shows: Woodstock, The Oval, the notorious San Francisco show where Keith collapsed, the football stadiums in the seventies, Wembley Stadium with Kenney Jones, the tragedy in Cincinnati, the first show without John, Mexico City and a recent Albert Hall show. Sensibly, however, author Houghton has concentrated on the Moon years, with only the last 40 or so pages of his book devoted to post-1976. 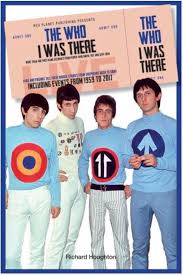 The Who: I Was There is not really a book for the casual fan, only us obsessed devotees. Fortunately there are enough of us, as reflected in its pages, to ensure its success. It’s a labour of love, and no band was loved more for its live shows than The Who.